A word of advice for you, the PopFi reader. If you ever see a car accident involving a van carrying hives of bees, don’t stop to help. I don’t care how hurt the people inside might be, or how bad the wreck looks, just use your cell phone to call the cops and just keep on going. 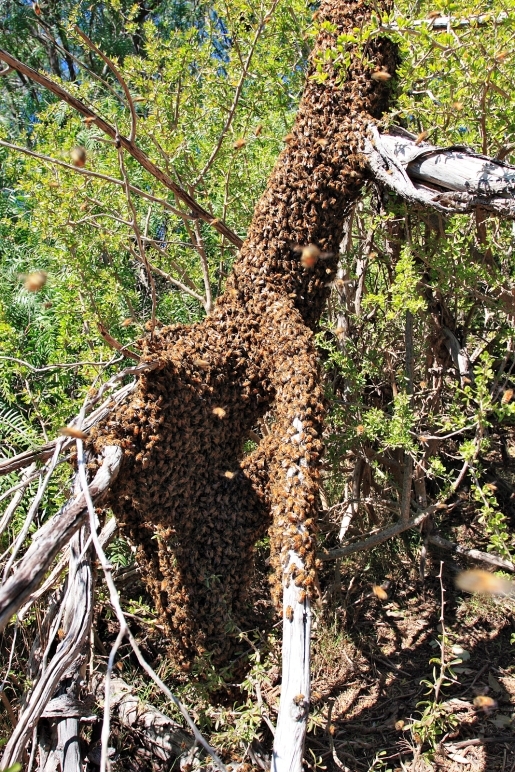 You see, angry bees tend to swarm anyone who gets in their path, friend or foe, and as rescue workers in Marmaris, Turkey found out the hard way, angry swarms of bees will mess you up good. Six people were taken to the hospital because of the wreck, and 20 people were taken to the hospital to treat bee stings. One person died, but it is unknown if it was because of the car crash or because he was killed by too many bee stings. It took over 50 beekeepers to get the scene under control, and it took an hour to rescue the folks injured in the original wreck. As you can see by the video, those bees were not messing around. At least it wasn’t 12 million bees, like the 2004 bee spill in California. That would’ve been a REAL mess to clean up!